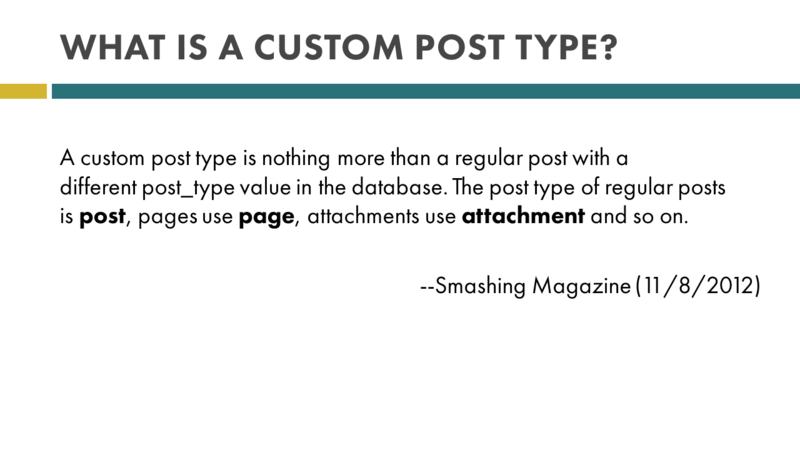 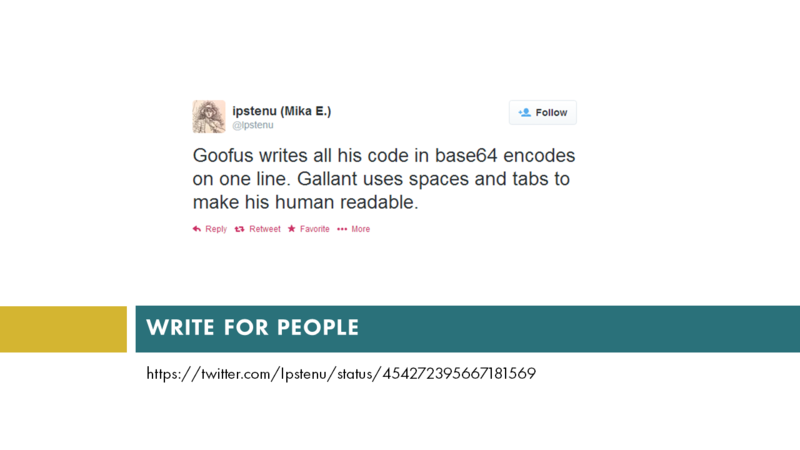 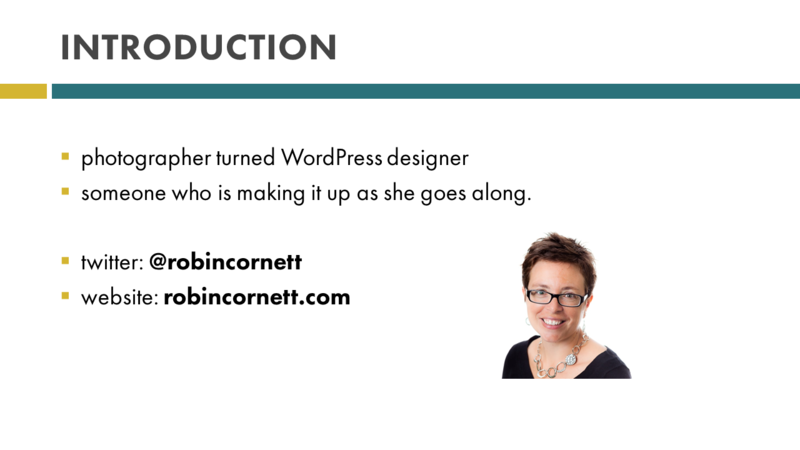 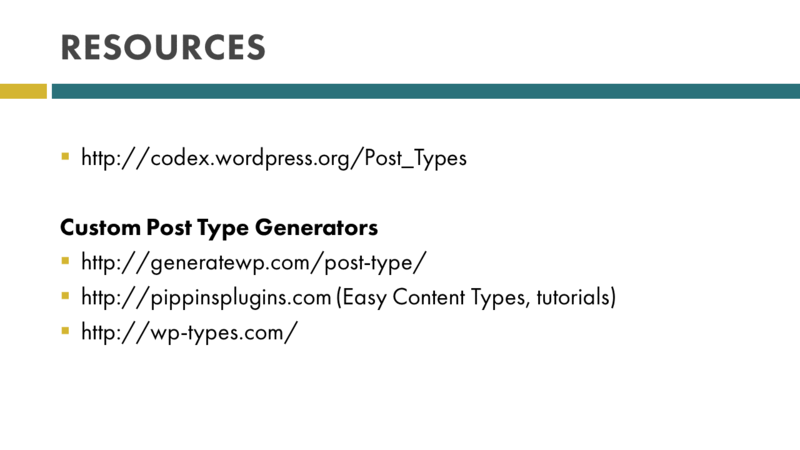 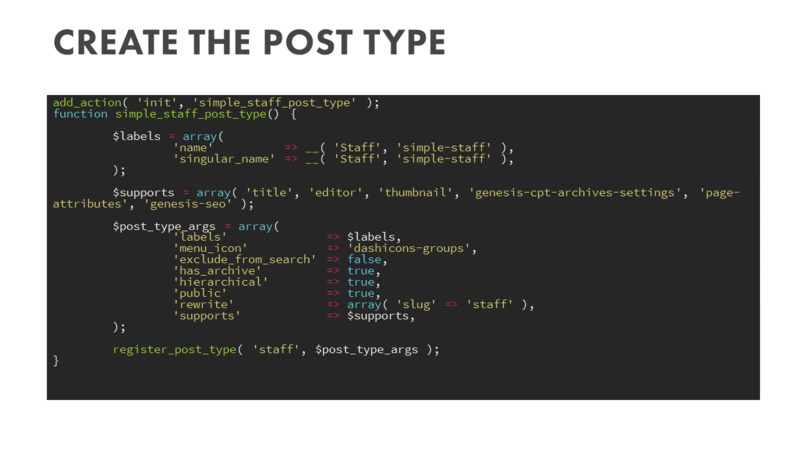 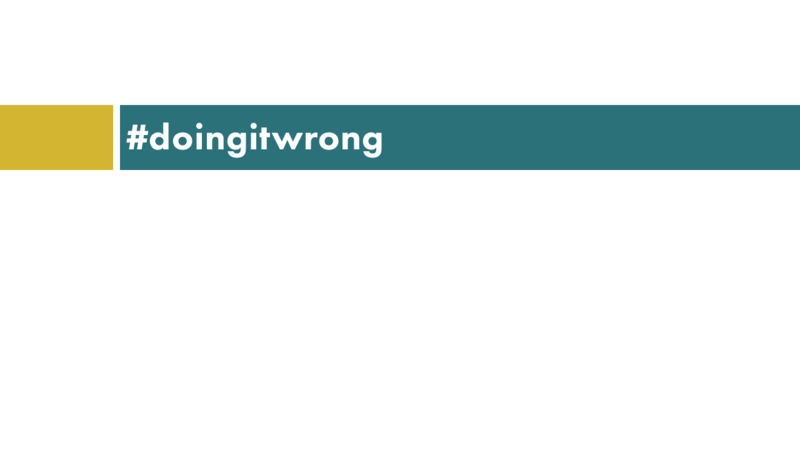 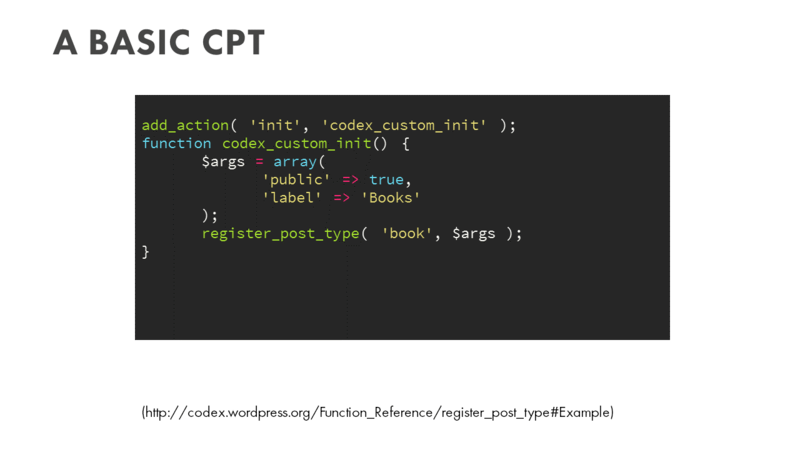 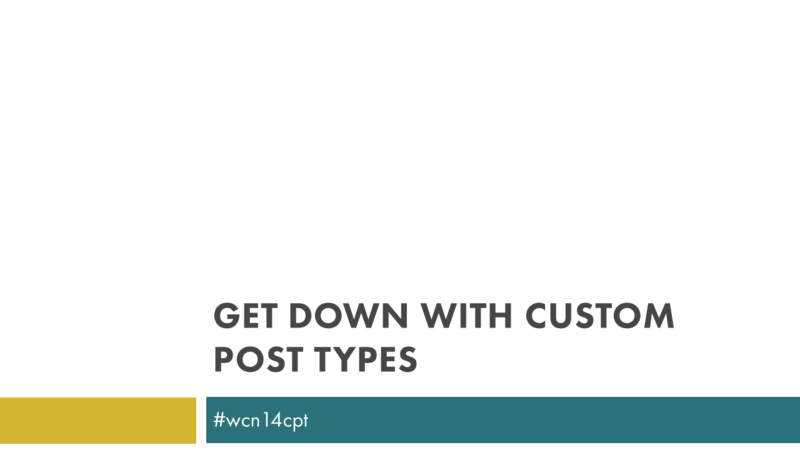 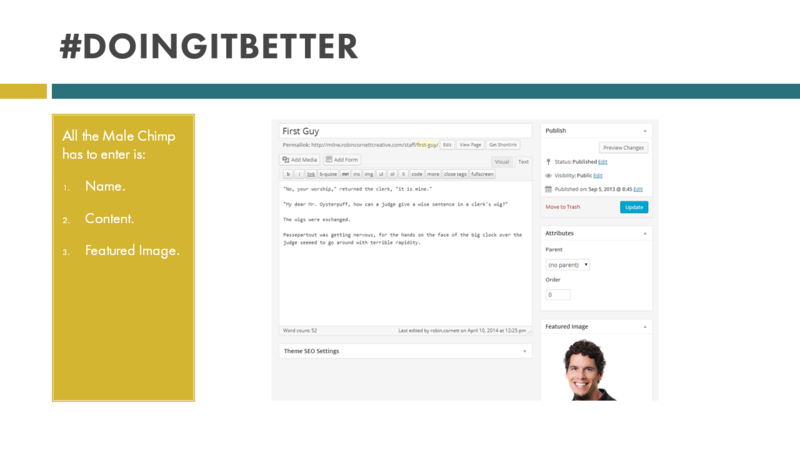 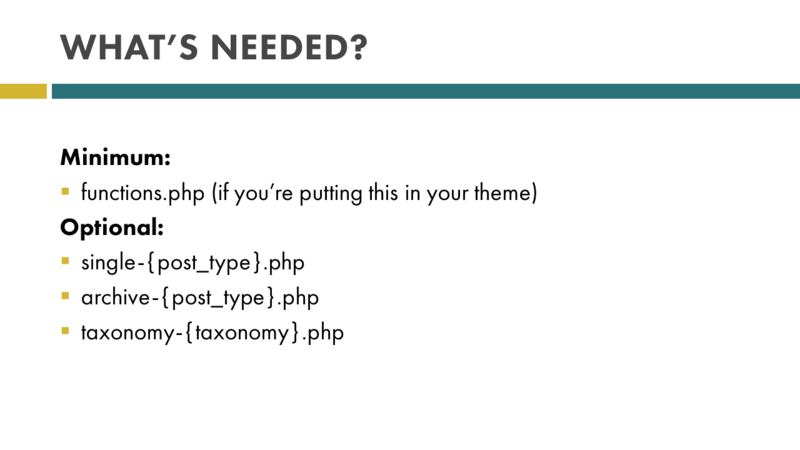 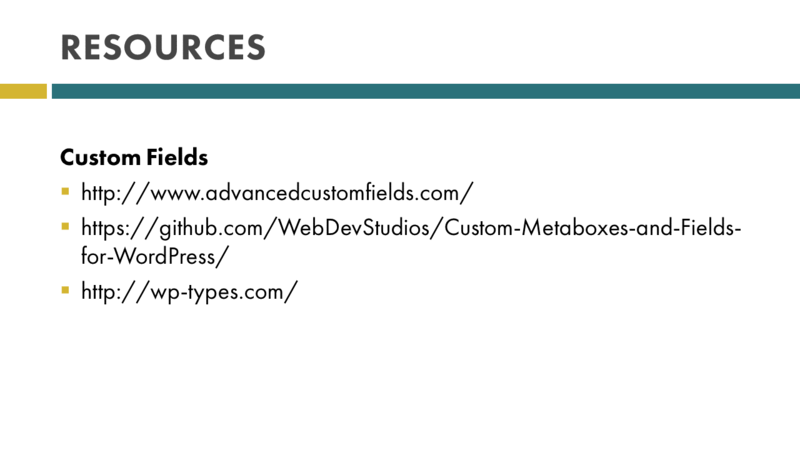 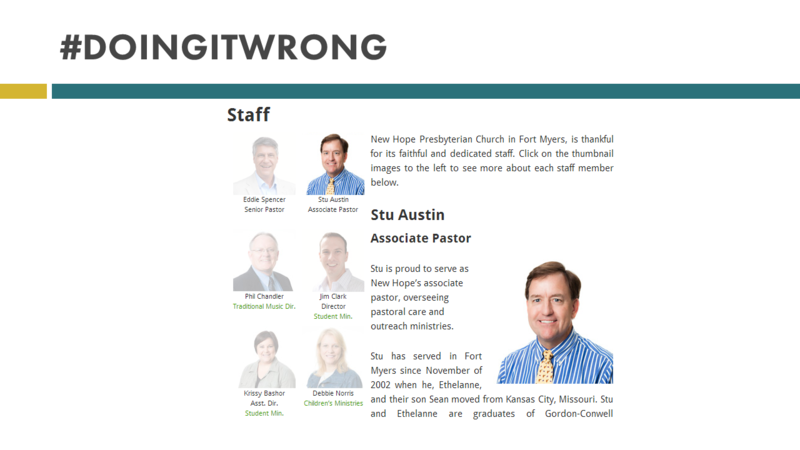 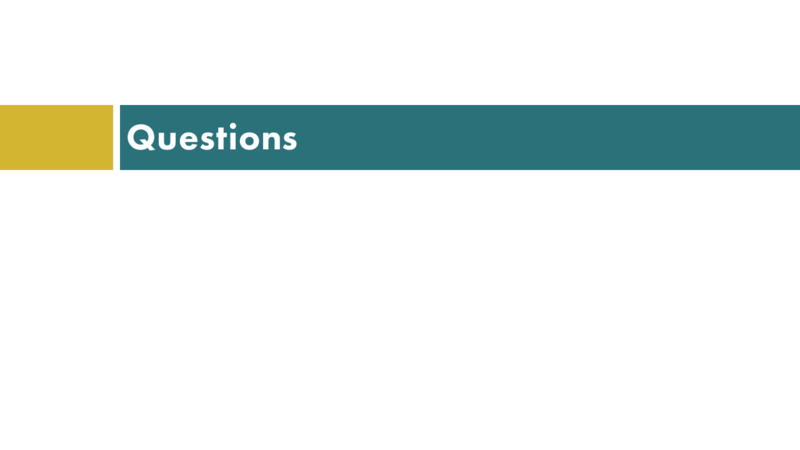 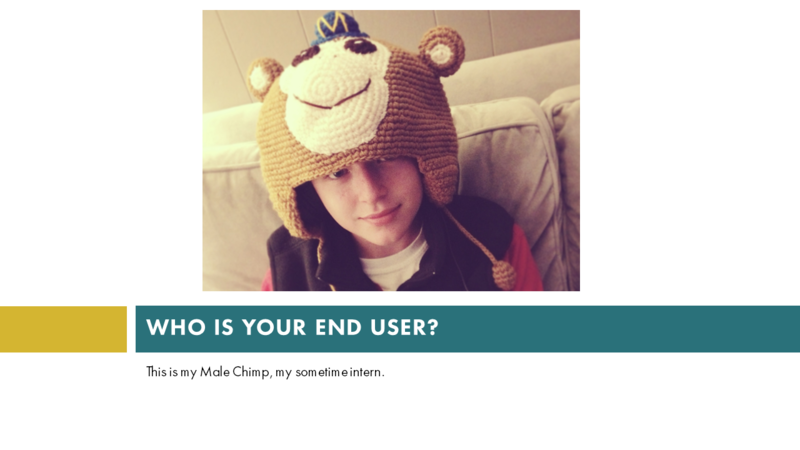 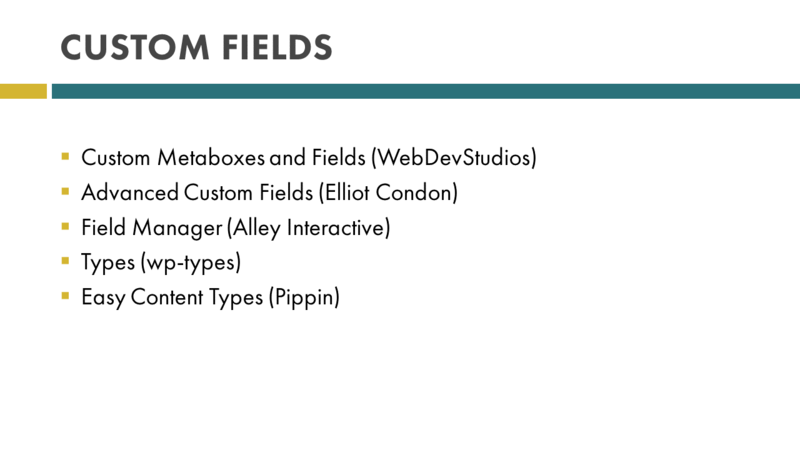 This weekend (May 3), I am at WordCamp Nashville, giving a presentation on Custom Post Types. 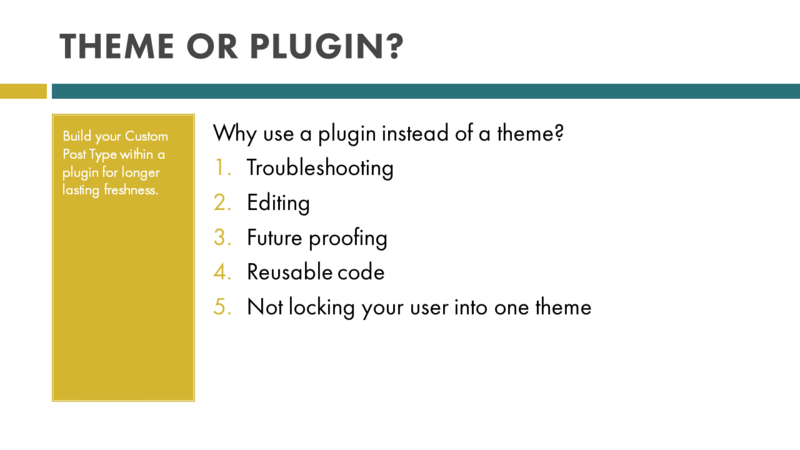 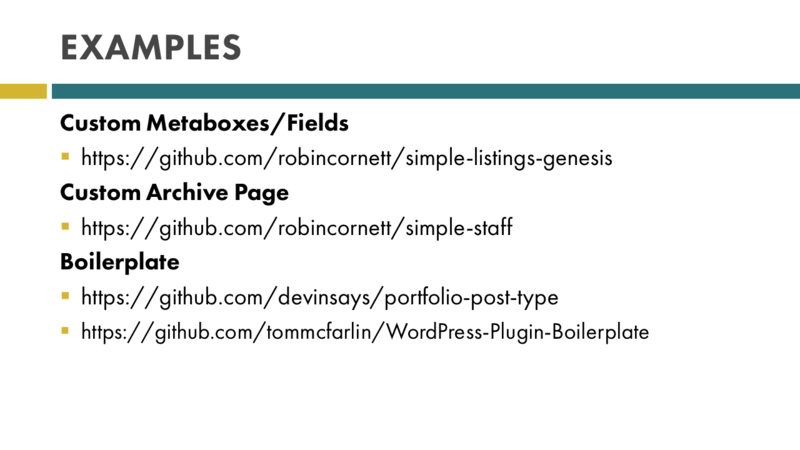 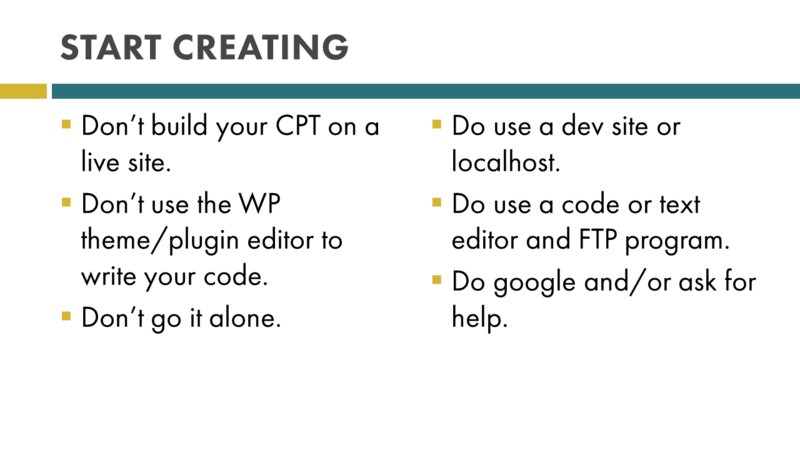 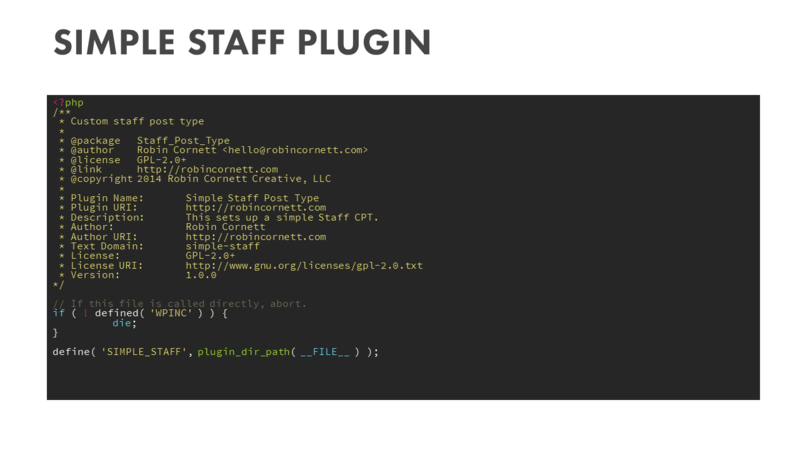 I am talking/did talk about what they are, why you’d want to use them, and did a walk through of Simple Staff for Genesis, a plugin I wrote for the WordCamp. 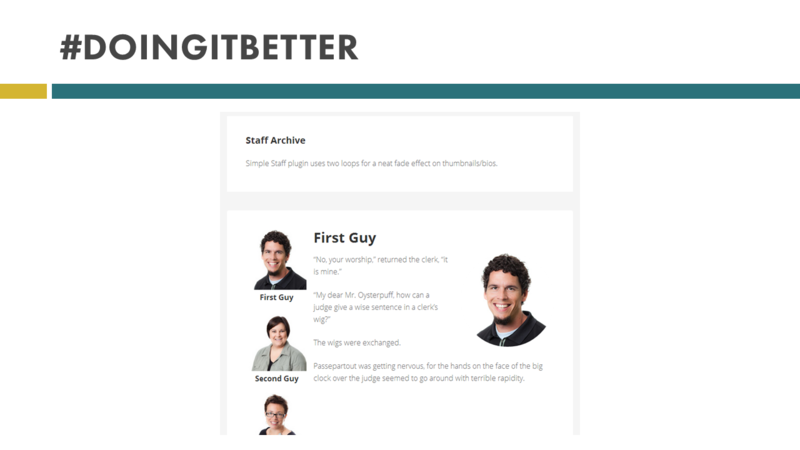 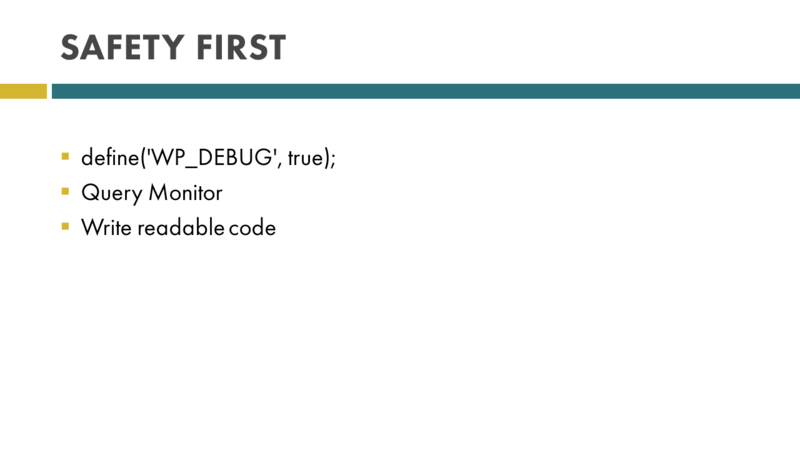 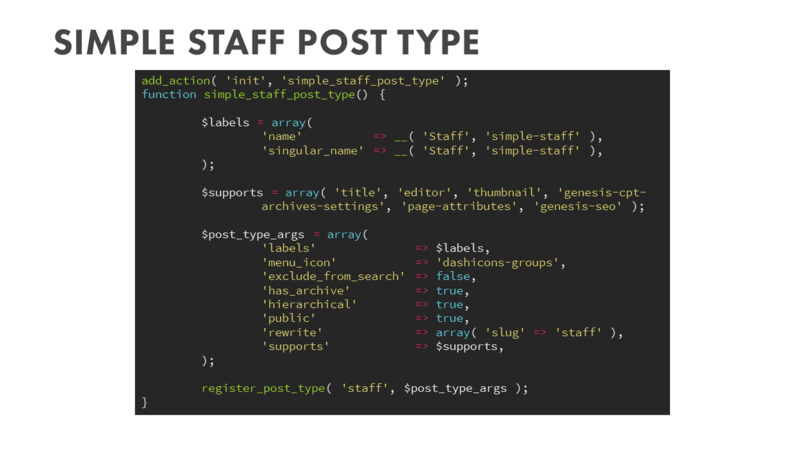 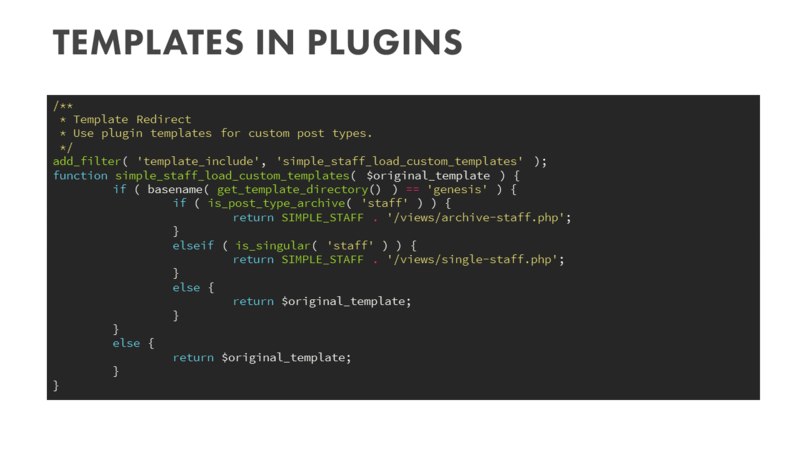 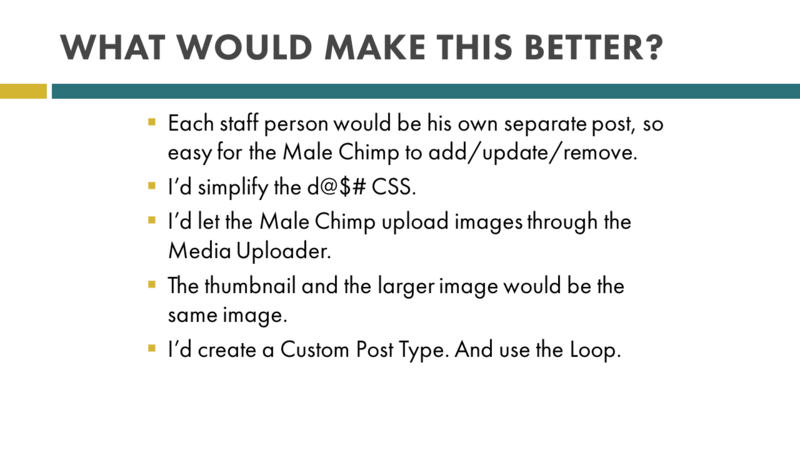 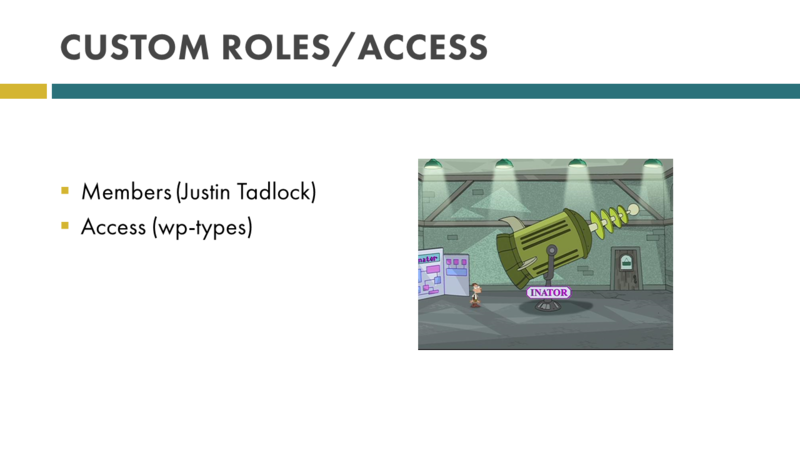 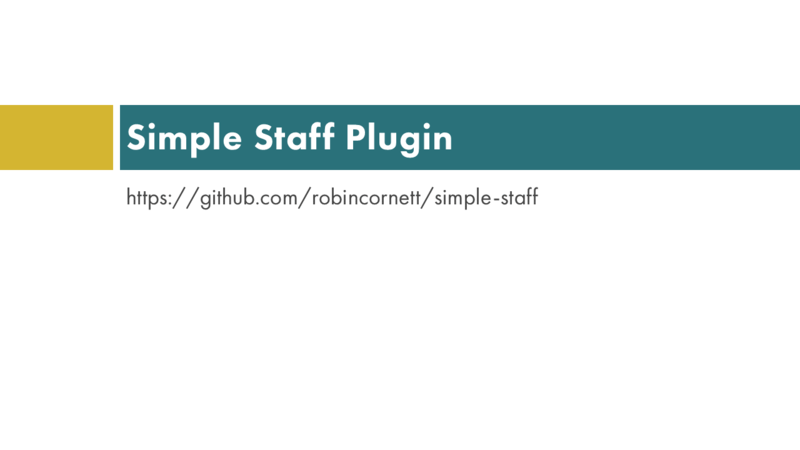 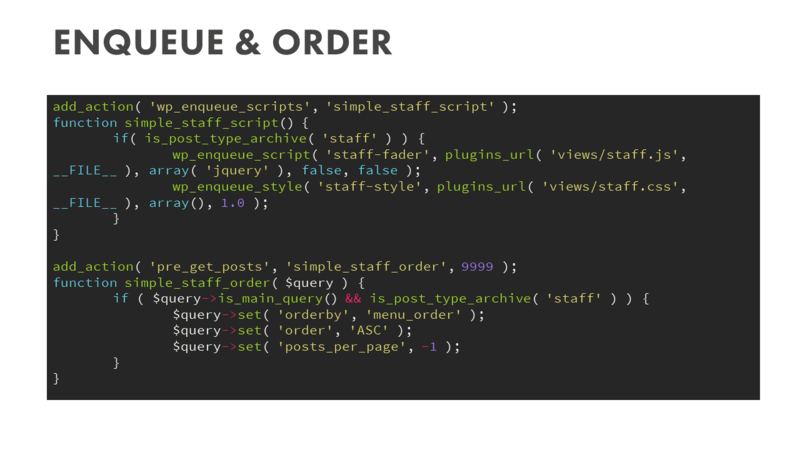 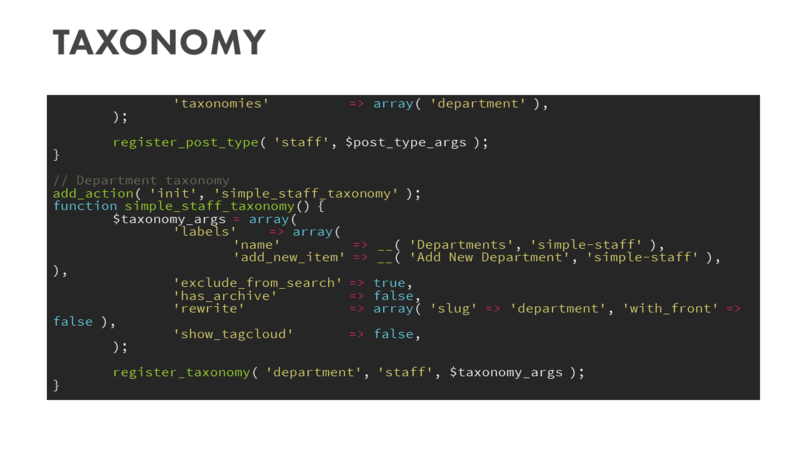 Simple Staff for Genesis: the staff plugin I wrote for this presentation. 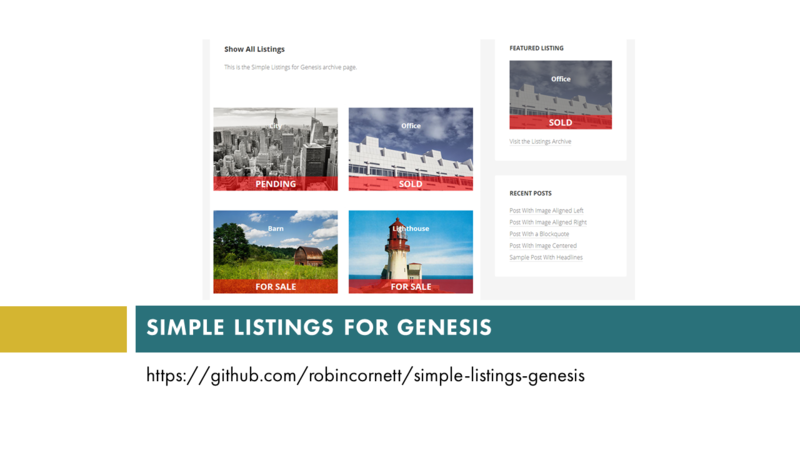 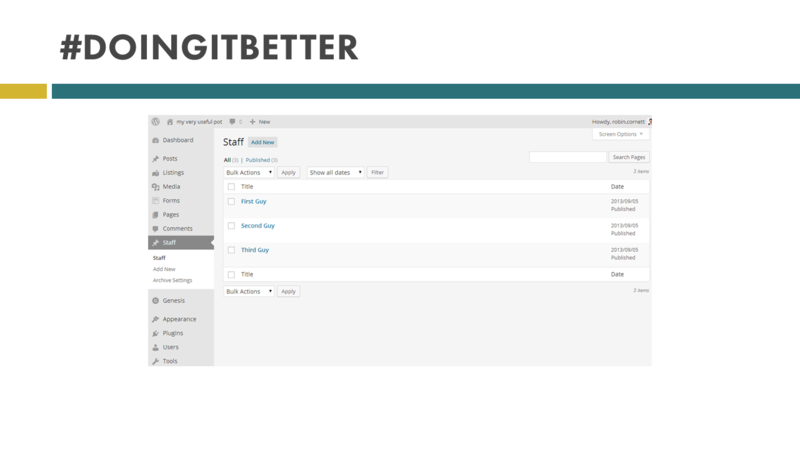 Simple Listings for Genesis: a simple real estate plugin which I released a month or so ago. 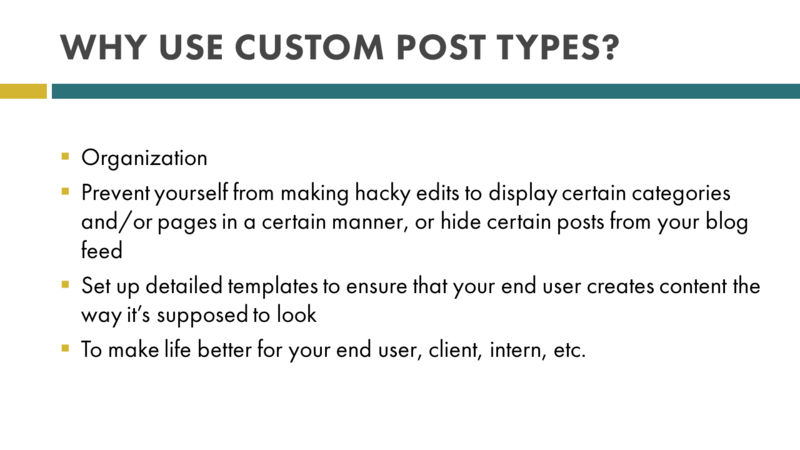 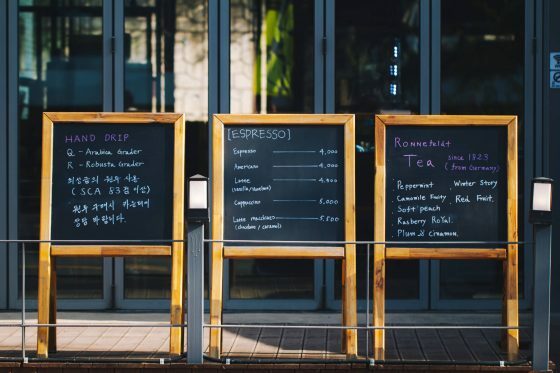 Options for Custom Post Types, Custom Fields, Etc. 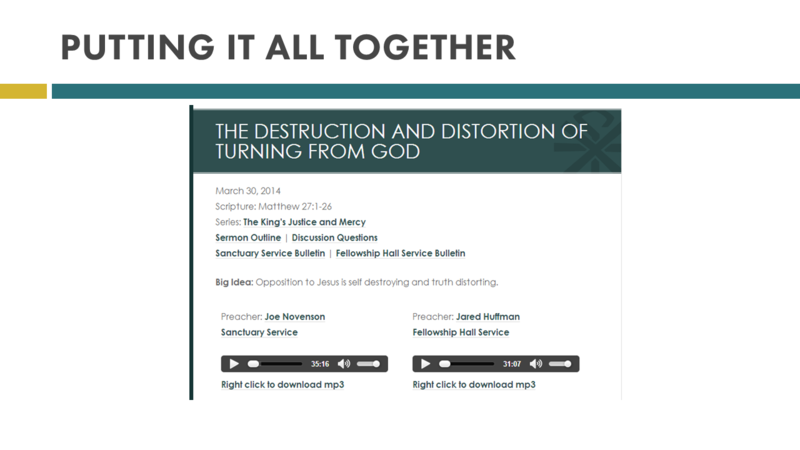 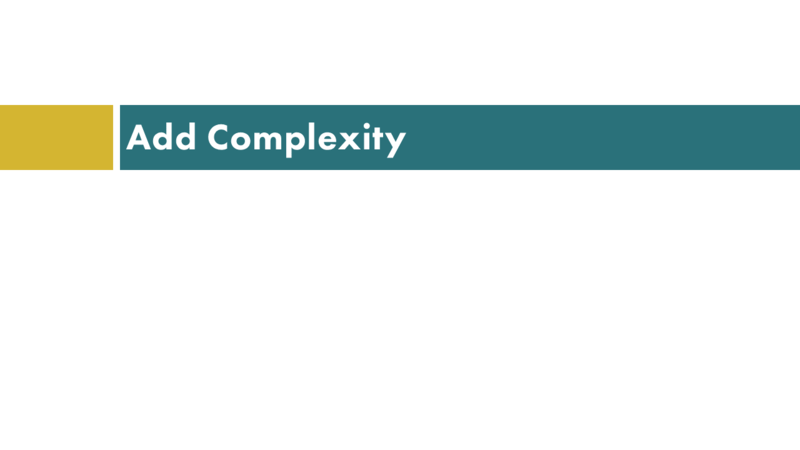 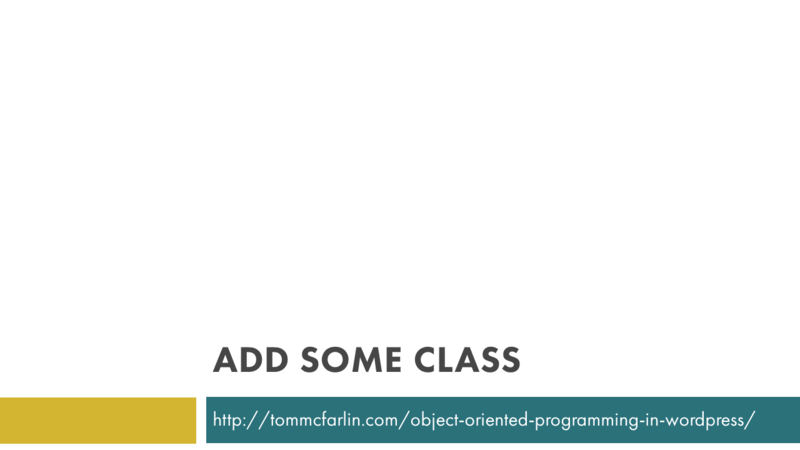 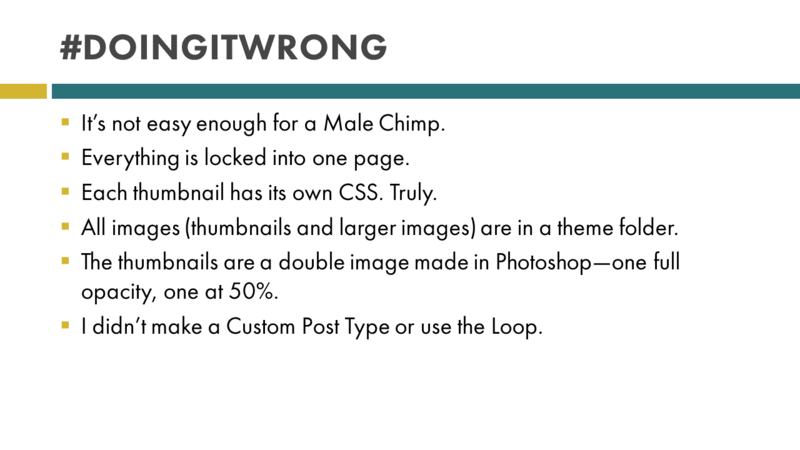 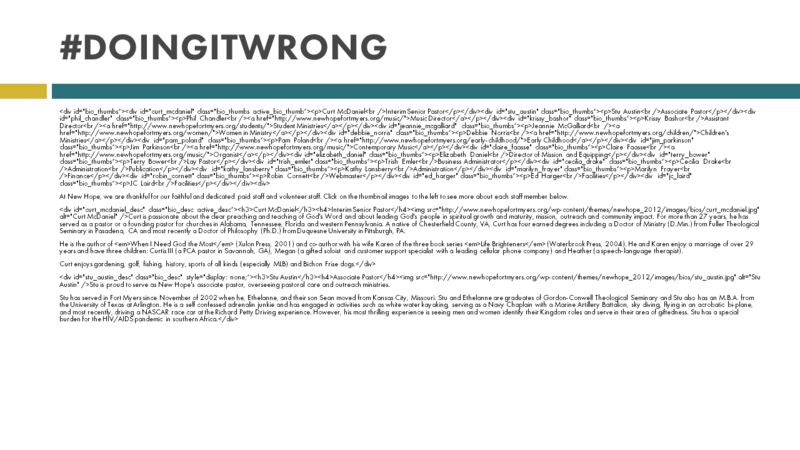 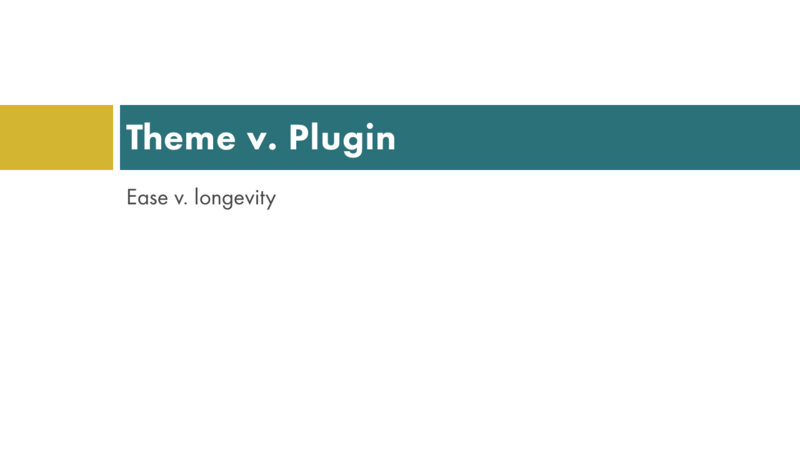 Just had a minute to peruse but Wow, this presentation looks great and should be a BIG help! 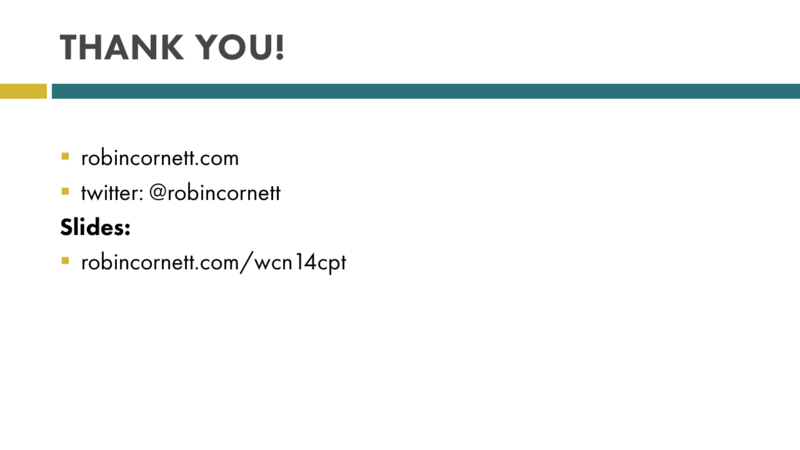 Thanks Robin.